Without a doubt, painting your interior walls is one of the best and easiest way to improve or change the look of your rooms. There are different techniques that you can use to create dramatic changes and improvements to how your paint looks and how it will look like when painted on your walls. To help you succeed in your interior home painting job, here are eight great tips to know before you go coloring your walls. 1. Each paint finish has its own advantage. 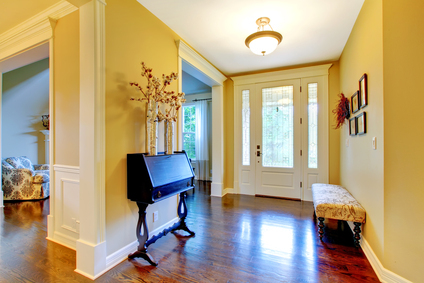 Before you start your home painting project, do consider the imperfections, the lighting and the use of the room first. Flat paints is perfect for hiding any imperfections – if there are any – than those high gloss paints. But if you want a more durable paint for your walls, then go with high gloss paints. Aside from that, high gloss paints are a lot easier to clean and reflects more light as well. An eggshell gloss paint would work great as a middle-of-the-road option for most styles of rooms. 2. Stick with samples to save time. Applying small samples of your paint on your wall before fully painting it will save you money and time. Most painting services in Singapore also do this technique so that their clients will know how the color would look like on their walls. Don’t spend your money on a test gallon when you can actually buy small samples for a few bucks. 3. Measure the footage of your house. If you’re trying to figure out as to how much paint you’ll be needing for your house painting job, do the math and calculate the square footage of your home. Include the area that you’ll concentrate on painting, also include the extra costs that you might actually need for your painting job such as the primer and the number of paint coatings that you’ll need. 4. Prep up properly. In planning of painting a room, you are more likely going to spend half of your project hours on your actual preparation work. Spend your preparation time wisely and efficiently by properly filling out holes, cracks and other surface imperfections. Lastly, remember to wipe out any dust or debris left on your wall, baseboards, and door frames. This will not just make your home painting easier, but will also allow your paint to serve in its best condition. 5. Decide on your paint colors ahead of time. Using vibrant or pastel-colored paints can actually add some depth, comfort, and texture to the room. With the right shades of colors as your paint color, it’s possible to do or add some dramatic changes to the look of the room. But if you’re hesitant to explore on the different colors, then might as well stick with plain white walls. 6. Trim with a brush first, before using rollers. 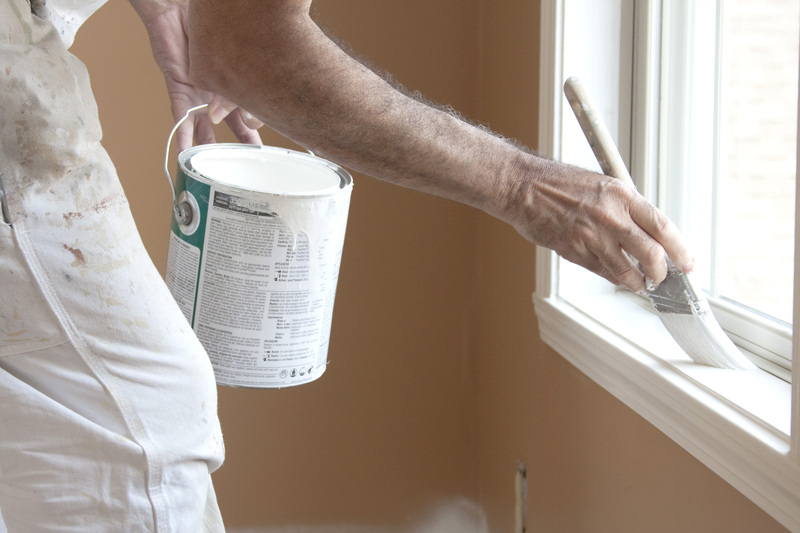 Before starting your interior house painting project, trim and paint your walls first with a brush. This is one good technique recommended by most painters who provide interior painting services for those who’re planning to do DIY their interior painting project. Also, you don’t have to worry in case brush coating isn’t done well since the roll will simply flatten out the brush strokes that you made. 7. Avoid overextending and stretching as much as possible. Using roller extension polls is one trick that most contractors, who give Singapore painting services, do; it can be expensive but its use will definitely outweigh the cost. Roller extension polls will help you save some time and will also prevent you from overextending yourself. With the help of these polls, you’ll spend less time in moving ladders and your body will thank you as well. 8. Set a realistic timeframe for your project. The worst thing that anyone – homeowners and contractors alike – could do in a painting job is to rush it. So before you decide on starting out any painting job, make sure that you’ve set a realistic timeframe for it. Allow your primer and paint to dry in between so that you could see the areas that needs more attention and more coating. Lastly, allow your final coating to dry for a whole day before you start moving your furniture and other home decors back to its respective places. With the help of these easy interior painting steps, it’s now possible for you to do and finish your home painting job like the ones that those in painting services in Singapore could do without spending too much.